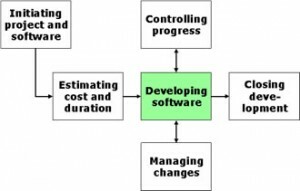 Experience® Pro is a software tool that supports the functional size measurement, estimating, progress reporting, closing, and organizational learning (learning from completed projects) for software development and enhancement projects. The tool supports a variety of ISO/IEC conformant functional size measurement methods, as well as a backfiring model, and has three estimating modes: first estimate, improved estimate, and final review (for closing a completed project and entering project actual data). Additionally, Experience® Pro provides a project portfolio management mode that facilitates portfolio project reporting. The estimating modes are supported by a high quality database of 1000 completed projects (validated by approximately a dozen university researches over the past decade), as well as an old version of the ISBSG database. This mode creates an initial estimate of work effort based on more than a dozen input parameters including project classifiers, development language, functional size parameters (early), business area, project type, situational analysis (ND21- new development 21 factors), etc. Only one initial estimate per project (version 1.0) can be created for a project. The first estimate is used as the basis for the improved estimate mode (for which multiple subsequent versions can be created as the requirements change and the project progresses). This mode creates a second to further estimate versions and the user can enter the progress (in %) for each function that is worked on since the last estimate. Reports will provide an analysis of the partial (to date) delivery of the user functionality (base functional components) that is complete when the data is entered. When functionality is canceled part-way through the project (i.e., partial completion of the function), Experience® Pro keeps track of the incremental changes and partial delivery (based on functional size measurement). Approved changes are also entered by their functional type, and their delivery is then tracked over the rest of the project through to completion. At the completion of the project (typically all functions will be indicated as being 100% complete in the improved estimate or a partial completion if the function was cancelled prior to delivery), the project is closed by entering it into the final review mode of Experience® Pro. Once a project has been put into the final review mode, it can no longer be updated in the improved estimate mode. Seamlessly supports the 12 steps of northernSCOPE™. Provides functional size measurement using ISO/IEC standardized methods. Supported by the high quality Experience® knowledge base with hundreds of actual completed software projects and the ISBSG data repository (R10).